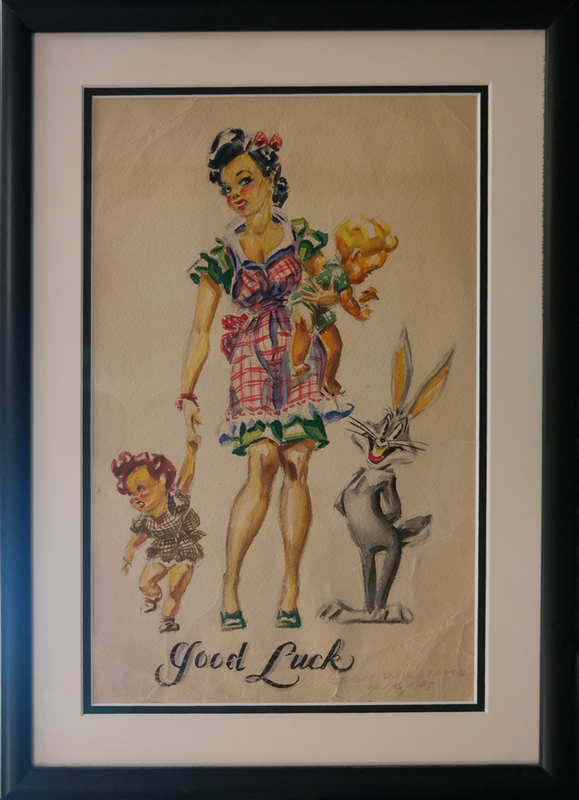 This is an original drawing created as a gift for a studio ink and paint artist created by an animator at the Warner Bros. Studios in the 1940s. 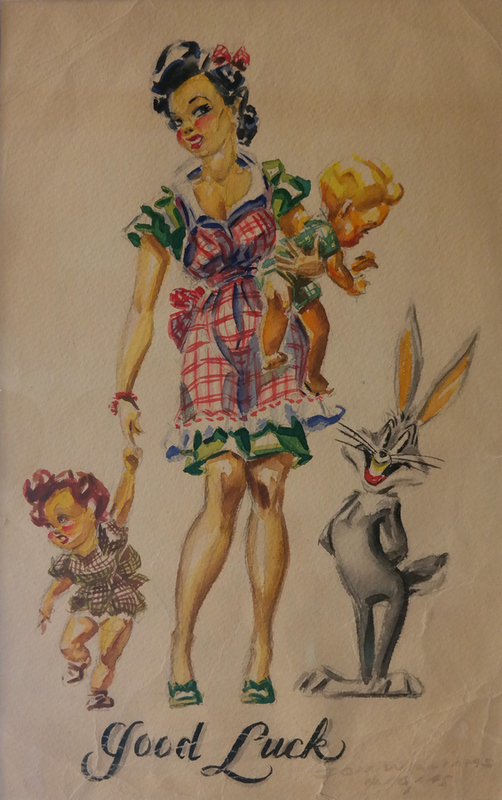 This original paint and ink drawing was features a caricature of the ink and painter with her daughter and Bugs Bunny and was created by studio artist, Don Williams. Don Williams signed and dated this piece in the lower right corner, and it appears to have been a gift created for her departure from the studio. Williams worked for WB but also went on to be a famed animator and performer with Walt Disney Studios, where he also became an original Mouseketeer on the original Mickey Mouse Club. The overall measurements of the piece are 19.75" x 14" framed, with mat opening measuring 15" x 9.5" and the image itself measures 15" x 9.5".